This year marks the 100th year of Puerto Rico’s inclusion into the United States, but many Americans remain unaware that Puerto Ricans are U.S. citizens. A new exhibition at the BRIC Art Media</a gallery in Brooklyn, entitled "Ride or Die", employs vintage Schwinn bicycles, historic objects and pointed paintings to call attention to Nuyorican history and U.S.-Puerto Rican relations. Curated by Elizabeth Ferrer, the work of multimedia artist Miguel Luciano is a central feature of the show. His customized bike sculptures are odes in motion, documenting New York’s Puerto Rican bike clubs and their riders. Luciano’s work has long hovered at the intersection of pop and politics. This show is particularly pertinent for a nation in flux and the socioeconomic crisis unfolding in Puerto Rico. BRIC Arts Media regularly hosts exhibitions of the work of mid-career artists and curators of varied disciplines. The gallery at BRIC boasts 18-foot ceilings and, at 3,000 square feet, is able to accommodate major art shows. The venue is the largest presenter of free cultural programming in Brooklyn. “Ride or Die” will be open to the public at BRIC until March 1. The show uses vintage bikes as an entryway to celebrate Nuyorican culture. 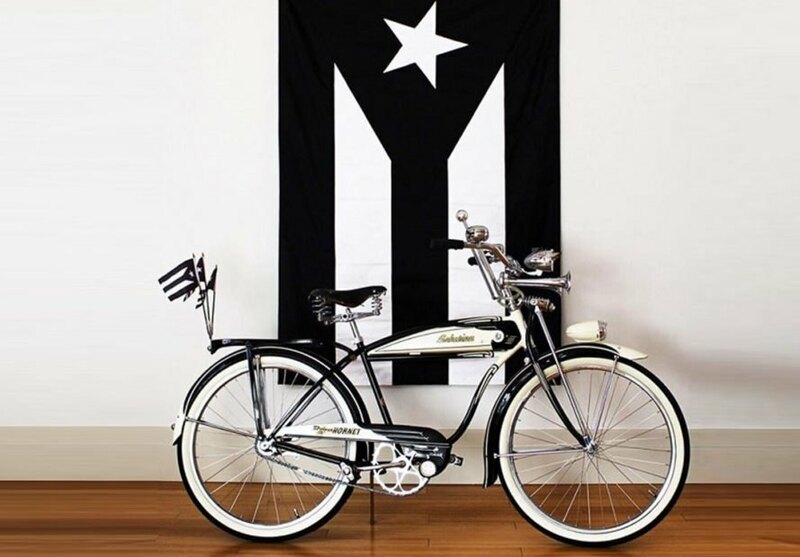 The bikes reveal much about U.S.-Puerto Rican relations, past and present. Puerto Rican bike clubs have flourished in NYC since the 1970s.